Cart2Cart continues its interview series, getting lessons from prominent people of e-Commerce industry. 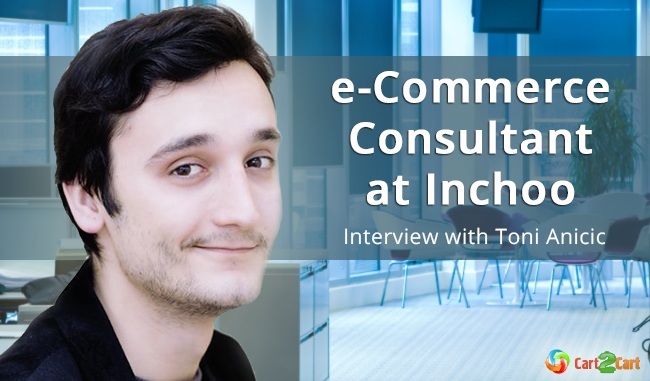 This time, our interviewee is the man driven by passion to internet marketing - Toni Aničić, e-Commerce Consultant at Inchoo and Magento Certified Solution Specialist. Cart2Cart asked Toni a several questions concerning the company he works at, post-migration SEO tips, conversion rate boost, Magento 2 expectations and his personal career path. Toni, the community knows you as e-Commerce Consultant at Inchoo, but we are sure this is not the only thing you can boast about. As they say “A talented person is talented in everything”. So tell us, please, what do you feel passionate about except e-Commerce? I'm extremely passionate about all sorts of internet marketing stuff as a "T" shaped marketer with deep specialization in eCommerce and SEO. If you meant outside the work, well, I like to play League of Legends, taste home brewed beers and enjoy vacations on a beautiful Croatian coast. You’ve made a long way get to the point where you’re now, starting as an Online marketing expert in 2008. What was the motivating factor that kept you moving all these years long? Back in 2008, people used that "expert" word a lot when it really wasn't the case. I might have had a lot of knowledge in the field compared to the rest of the people in Croatia, but my knowledge and experience was not at the level that would make me an expert in the field on a global scale. What kept me going all these years? It was and still is an exciting time and an exciting industry to be in. We live in an age of rapid technology and marketing changes where everyone has a chance to be among the first to get on board the next big thing and make a huge success. I couldn't imagine working in any other industry. 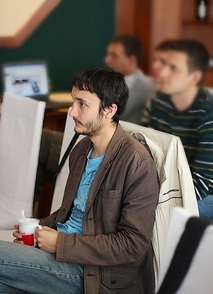 It seems that you achieved a whole lot working as an e-Commerce Consultant at Inchoo. Could you tell our readers in a few words what personally you and Inchoo deal with? What are your goals? We deal with building successful online stores based on Magento platform. At the beginning we were very development oriented company, but with time we grew into much more than that and in the last few years we are able to offer everything from planning and research, through design, development, consulting, and ongoing marketing and development support. Our goals are to have successful online stores as clients that grow each year thanks to our services. The e-Commerce community has been in lingering anticipation of announced Magento 2.0 for a while now. Eventually, we can expect it come out at the end of 2015. As a man who, probably, knows about the upcoming quite a bit, what impact on e-Commerce do you think second Magento generation will have? Was is worth waiting for all these years? Magento 2.0 will have a hard time at the begining since it will not be compatible with Magento 1.X extensions, themes, and APIs. There is a huge ecosystem built around Magento 1.X that can't simply migrate to Magento 2.0 on the day of release and it includes, extensions, themes, ERP connectors, cart migration services, payment gateways and shipping gateways etc. In my opinion, Magento 1.X and Magento 2.0 will continue to coexist for a few years after the Magento 2.0 release. Was it worth the wait? I'm not sure. We'll see the first stable release since right now, things are not very polished on Magento 2.0. Many of our readers are interested in shopping cart migration, and Magento is among the most popular solutions people switch to. As a SEO specialist, what you’d you recommend those, who have performed migration to Magento? If you want to preserve your rankings when switching from another platform to Magento, there are a few key things you need to do. First of all, you want to redirect all or as many as possible of the old URLs to the new ones using a 301 redirect. Second thing you need to do is make sure your key onsite ranking factors didn't change much on those URLs. This includes your title tags and your H1 tags. Also keep in mind that Magento by default is not very SEO friendly and you need to do a lot of fine tuning to reduce the amount of thin and duplicate content. Once you do all of that, you'll be in a very good place in terms of onsite SEO. The last thing to consider is the speed issue. Magento can be very slow if not setup properly. Many people don't look at site speed as a major SEO ranking factor but it can be, both directly and indirectly. You need to consider performance from the start of the planing phase and only then will you have a perfectly optimized online store. From the height of your experience, what main recommendations would you suggest for our readers to boost conversion rate on their Magento stores? Are there any unconditional must-do’s? Each store has its own issues to deal with when it comes to conversion rate optimization. It's almost impossible to generalize and say some things are a must do in that field. We could point out common issues, such as not having very clear call to actions on product pages (add to cart) or cart pages (proceed to checkout). Those are often easy wins when it comes to CRO in eCommerce. Other things that are often worth setting up an A/B test for are different product recommendation locations and product recommendation engines, prominence of the site search field, removal of social sharing distractions etc. Toni, if to look back on your career path, it looks like you are not the one who satisfies with what you have. Tell us, please, where do you see yourself in the nearest future? Are there any secret plans you’d like to share with? In the nearest future I see myself at Inchoo working with our largest clients and helping them become even larger. I'm looking forward to expansion of our team. At the time of this writing we have some open positions and I'm looking forward to seeing some new faces over here that will help shape some of the most successful online stores out there. 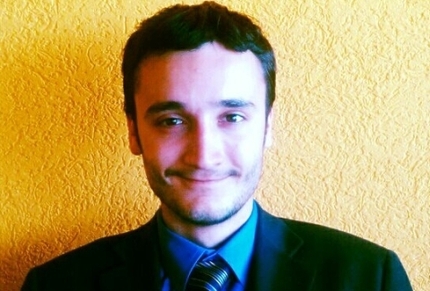 Cart2Cart team would like to thank Toni Aničić for sharing some of his rich marketing experience with us and a chance to know about his life a bit more. Stay tuned to our blog for more exciting interviews with people who make difference in e-Commerce industry! If you happen to still be using one of the out-dated Magento versions, it’s time to quit it. Get the most of your solution by undergoing a seamless automated platform upgrade and use Cart2Cart to perform Magento to Magento migration with ease!